When daylight hours start to decrease and it gets colder outside many people may find themselves experiencing symptoms resembling depression. For some the symptoms are relatively brief. Tempers may seem shorter for parents stuck inside with cranky or sick children and an increased sense of lethargy is not uncommon on a dreary winter day. For others, however, these symptoms can be quite disabling. 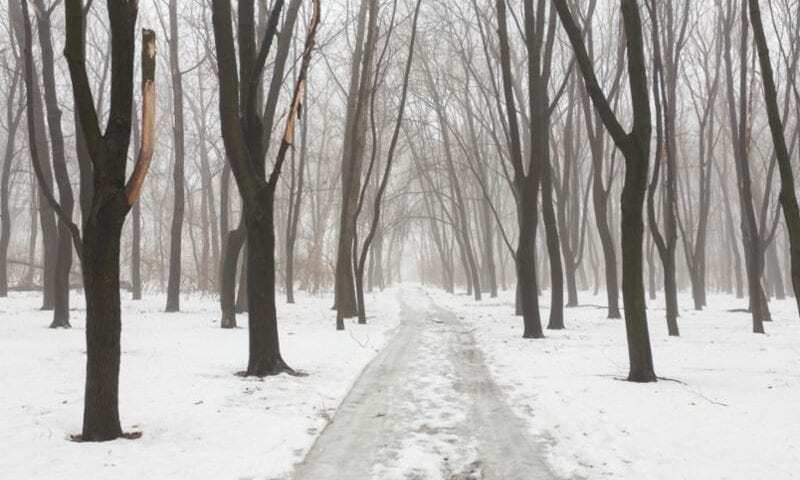 Seasonal affective disorder, also known as SAD, is more than just the winter blues. It is a type of depression that lasts for a season, typically the winter months, and goes away during the rest of the year. Symptoms of SAD are the same as those of depression. They can vary in severity and often interfere with personal relationships. Symptoms include fatigue, pervasively sad mood, loss of interest, sleep difficulty or excessive sleeping, craving and eating more starches and sweets, weight gain, feelings of hopelessness or despair and thoughts of suicide. If your winter blues are severe and have gone on for at least two winters, you might have a case of SAD. Experience as much daylight as possible. The lack of sun exposure is part of what causes SAD and soaking up as much as you can, can lessen your symptoms. Sit by a window or get out for a walk during daylight hours. You could even take up a winter sport to get you outside and keep you moving. Comfort foods don’t have to be loaded with extra calories and lots of sugar and fat. Get creative and look for hearty, low-calorie recipes that are easy to prepare. Instead of eating cake and cookies, try making a dessert from seasonal fruits like apples and pears. Spend time with your friends and family. Spending time with your friends and family is a great way to lift your spirits and avoid social isolation. Snuggle with your kids or pets; visit with your friends while drinking a hot cup of tea or play board games with your family. Friends and family can be good to talk to about how the season is affecting you. Take the time to educate them about SAD so they can better understand your situation. Don’t stay cooped up in your house all winter. Get out and enjoy your community this season. Volunteer, join a local club, go for a walk or go ice skating with your loved ones to start. Also, if you know you experience SAD year after year, be proactive about planning out a schedule in advance of winter to keep active and engaged with others. Research shows exercise and scheduling pleasant activities can be effective ways to lessen the impact of SAD. If you continue to struggle with feelings of depression, you may want to seek help from a mental health professional, such as a psychologist. A psychologist can help determine if someone has seasonal affective disorder and how best to treat it. Research shows that psychotherapy, such as cognitive behavioral therapy, is an effective treatment for SAD, and may have more long-term benefits than light therapy – daily use of an artificial bright lamp – or antidepressant medication. A psychologist can help you identify problem areas and then develop an action plan for changing them. Psychologists are uniquely trained to understand the connection between the mind and body. They can offer strategies as to how to adjust your goals so that they are attainable, as well as help you change unhealthy behaviors and address emotional issues. Practicing psychologists use a variety of evidence-based treatments – most commonly psychotherapy – to help people improve their lives. Psychologists, who have doctoral degrees, receive one of the highest levels of education of any health care professional. On average, they spend seven years in education and training following their undergraduate degrees; moreover, psychologists are required to take continuing education to maintain their professional standing. The full text of articles from APA Help Center may be reproduced and distributed for noncommercial purposes with credit given to the American Psychological Association. Any electronic reproductions must link to the original article on the APA Help Center.